Walking by Causwells any time after 9am on the weekends, you’d think the citizens of the Marina had never encountered the phenomenon of brunch before. What is this meal people are eating?! Biscuits? It's understandable - the neighborhood has been sorely lacking in a top-notch brunch spot for a while, and Causwells and its epic brunch burger are finally providing the hood with on point morning eats that involve more than juice and coffee. The food is southern-influenced American, with biscuits and gravy, with some Mexican touches like chilaquiles, all topped off with an awesome burger. The burger comes two ways: the “dinner burger” is two thin patties with American cheese, some magic Thousand Island-y sauce, and pickles; while the brunch burger is one patty with cheese, bacon, and a fried egg. Both are serious contenders for best burger in the city, and this is not a thing we say lightly. Fresh ground beef, a sturdy but not hard but not soggy bun and the special sauce are the keys. You need a burger on your table. Causwells doesn't have a full liquor license, but they do have a great wine and beer list, and manage to make really good Bloody Marys with some sort of fruit-based liquor and spicy salt that we thoroughly enjoy. Brunch game: covered on all bases. For maximum enjoyment, try to grab an outdoor table where you'll observe the stroller derby that is this side of Chestnut Street, or grab a seat at the bar. Just do your best to stay out of the table at the back. You will talk to a lot of drunk girls at brunch waiting to use the bathroom. Besides an excellent brunch, Causwells runs a solid weekday lunch game, and a pretty good dinner too. It’s a neighborhood bistro in an area that has actually needed one, unlike the rest of the city where deviled eggs are by city ordinance part of the menu. We're glad to have you, Causwells. Great to share, sweet almost donut-y cubes of delight. Served three up(smoked trout, avocado and classic), these are very good deviled eggs. The trout is awesome, while the avocado is just a regular deviled egg with three tiny dollops of avocado mousse. We would like to propose the ability to customize with all trout. Ricotta is an underrated cheese, and Causwell’s whips it to a light consistency that is the stuff of angel wings. So we presume. The fillings change up seasonally, and on our most recent visit the omelet featured chicken, kale, tomatoes and cheese. It was one of the better omelets we’ve had in a while. Now that we have the option of eating little gem salads at pretty much every restaurant, usually we skip, but Causwell’s take is more interesting with avocado, grapes and almonds. We dig it. As noted above, this is a beautiful thing and it’s hard to pick between the brunch and lunch-dinner option. Well-cooked, quality beef, you need to eat this at least once in your life. Very well cooked, with chickpeas and a spicy chili sauce. Only on the dinner menu, and definitely worth your time. Super fresh fish with seasonal veggies on the side. Right now it’s corn and tomatoes and it rules. 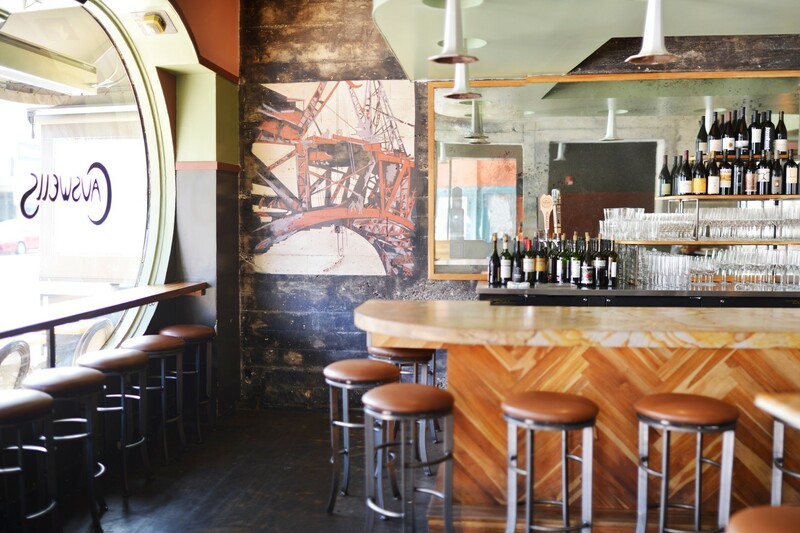 Nopa is our ultimate go-to restaurant in San Francisco.